Every sports lighting project begins with questions. How much light is enough? Is LED right for you? How can costs be kept down and neighbors kept happy? 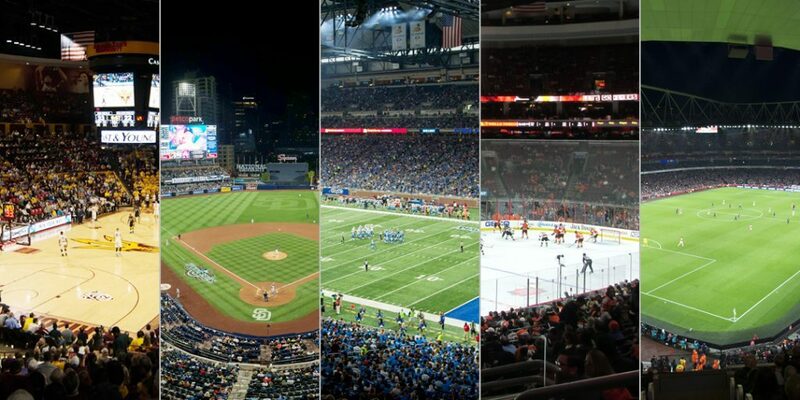 Sports venues have specialized needs when it comes to lighting. We’ve helped thousands of partners get the answers they need—from identifying funding resources, to system design, to installation and long-term service. Our LED sports lighting—as well as our HID solutions—for new and retrofit projects incorporates lighting, structural, and electrical components, provides streamlined installation, trouble-free operation, and long-term reliability. Designed in 5 Easy Pieces as a complete system from foundation to pole top, Light-Structure System delivers superior light control, is energy efficient, simplifies installation, and ensures better reliability. For facilities that have existing poles, specialty-use poles, or roof-mounted structures, our SportsCluster® System delivers the same pinpoint precision and energy reduction. Virtually eliminating glare, reducing energy consumption, and enhancing special effects lighting, SportsCluster® System has transformed major indoor arenas across the globe. Musco provides an energy-efficient solution for small arenas and gyms with multiple energy and light levels, providing flexibility and cost effectiveness. The only system monitoring service of its kind, Control-Link® lets you schedule and control your lights from a smart phone, web page, or our 24/7 call center, and enables us to know when a problem arises before you do. Our patented solutions can be customized to meet your unique needs through our special build and fabricating capabilities. Our team of technicians can be on site to perform anything from light level testing to maintenance for out of warranty systems.